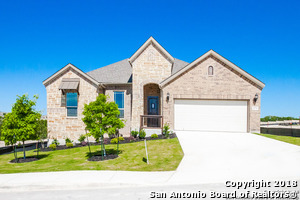 All ARCADIA RIDGE PHASE 1 - B homes currently listed for sale in San Antonio as of 04/25/2019 are shown below. You can change the search criteria at any time by pressing the 'Change Search' button below. "This is a 3000 sf 1.5 story, master and spare bedroom down. 1 large bedroom up with a large Game room. Stone Brick exterior with stucco accents. This home includes a large covered patio. Inside, this plan offers a large open plan with 2-story living room. This includes a study and formal Dining room. 3 baths total, with BEAUTIFUL granite tops. 2 car garage. full landscaping with sprinkler system on a corner lot!" "Arcadia Ridge The Estates. Gehan Villa Nova Spacious home with many upgrades, longer kitchen counters and backsplash, wood and tile floors, open floor plan, high ceilings, outdoor kitchen, privacy windows, flex space, built in hall tree, 4 sides brick/rock, covered patio in back, 9 front door, granite counters in all wet areas, 3 full baths, 1 jack and jill, 10 year warranty included. Ceiling fans. 3 car garage. Great for entertaining." "3 CAR GARAGE!!!! Our Beautiful Wisteria 2 Plan. 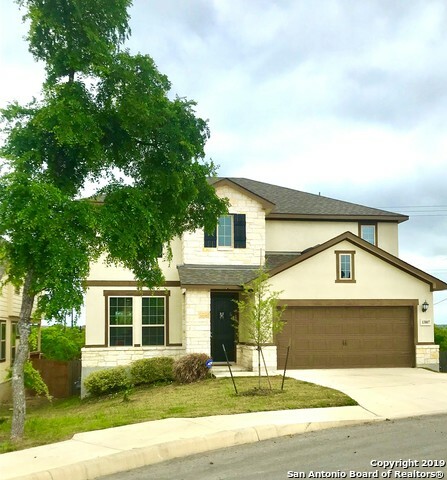 Granite C/tops, high ceilings with architectural details, art niches, stained wood balusters,Huge gameroom with sitting area,4 FULL Baths, 42 inch cabinets, gas cooktop, Stainless steel built in appliances,Large rear covered patio. Very nice backyard. Master down with secondary bedroom down with full bath. 4 brrms and 4 Full baths.Home is under construction. Move in approx. end of July , 2019. Photo is same floorplan,but not the actual Home under "
"Better than new! 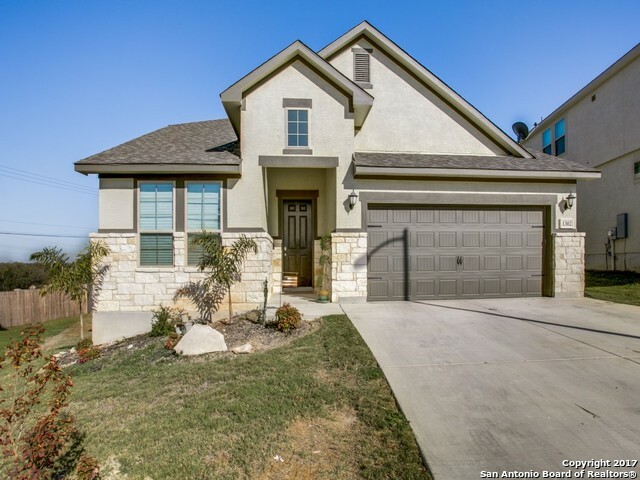 This lovely home is well appointed w/gorgeous wood floors, modern gourmet kitchen, high ceilings w/decorative wood beams in living room, stone fireplace, & sliding doors to study. Spacious master suite is private & boasts a luxurious bathroom w/his & her closets. Smart home technologies include Nest & Rachio sprinkler system. Enjoy outdoor covered patio & fully landscaped rear yard. 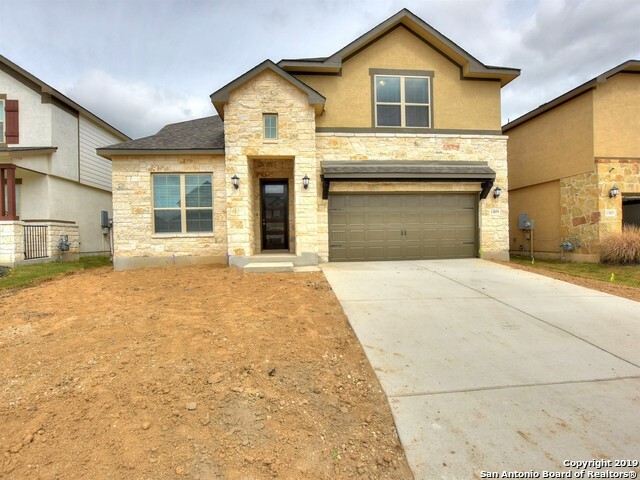 Located in booming Northwest San Antonio, short commute to Lackland AFB, Boeing, Texas Research, "
"Brand NEW energy-efficient home ready January 2019! 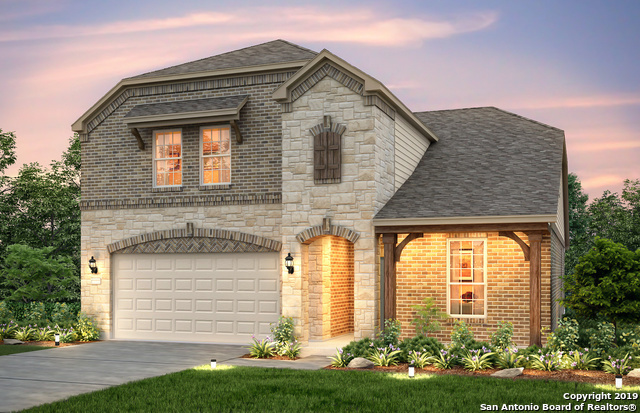 The Spanish Oak features an open concept plan with 20' ceilings in the family room, tons of windows for natural lighting, extra large kitchen for the chef in the family, secondary bedrooms upstairs with tall ceilings, and more! Shopping, dining, golf, and Sea World are just down the road. Known for their energy-efficient features, our homes help you live a healthier and quieter lifestyle while saving thousands of dollars on utility bills." "Brand NEW energy-efficient home ready February-March 2019! The Evergreen's front living space and volume ceiling family room make a striking impression. Tucked in the rear of the home, the owner's suite is secluded from the secondary bedrooms and game room upstairs. Shopping, dining, golf, and Sea World are just down the road. Known for their energy-efficient features, our homes help you live a healthier and quieter lifestyle while saving thousands of dollars on utility bills." "Brand NEW energy-efficient home ready January 2019! 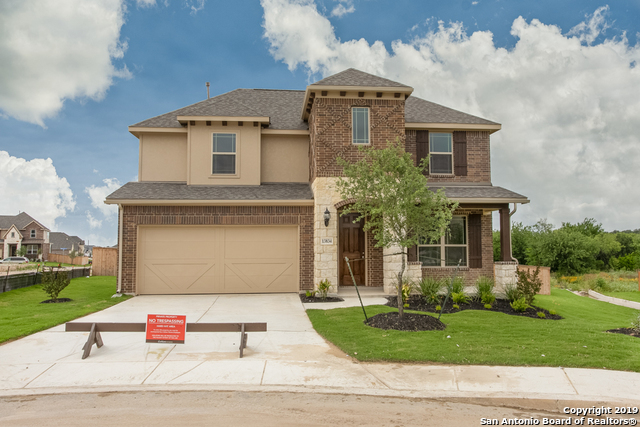 The beautiful two-story Chestnut home features 3 car tandem garage, an open concept floor plan, built-in kitchen with granite and luxury flooring, spacious study, an upstairs game room and nice retreat area, and more! Shopping, dining, golf, and Sea World are just down the road. Known for their energy-efficient features, our homes help you live a healthier and quieter lifestyle while saving thousands of dollars on utility bills." "Brand NEW energy-efficient home ready NOW! Evergreen offers open floor plan, high ceilings, tons of windows for lots of natural lighting, game & media rooms & Kitchen with granite countertops. Large Covered patio includes gas connection, full sprinkler & sod throughout entire property. Shopping, dining, golf, and Sea World are just down the road. Known for their energy-efficient features, our homes help you live a healthier and quieter lifestyle while saving thousands of dollars on utility bills"
"Beautiful spacious brand NEW 4 bedroom 3 bath home. 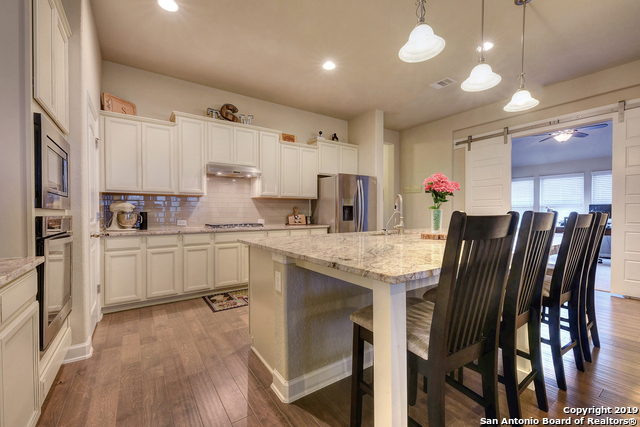 This gorgeous home features an open floor plan, solid counter tops, and beautiful ceramic flooring throughout." "Brand NEW energy-efficient home ready February 2019! The beautiful two-story Evergreen home includes elegant details such as high ceilings and a formal dining room, spacious kitchen and oversized breakfast bar perfect for entertaining, media and game room for great family nights, and more! Shopping, dining, golf, and Sea World are just down the road. Known for their energy-efficient features, our homes help you live a healthier and quieter lifestyle while saving thousands of dollars on utility b"
"GORGEOUS Energy-Efficient home with formal dining rm; foyer opens to large family rm with tall ceilings & double level windows. Immaculate kitchen overlooks open floor plan & has a large countertop bar with granite, tall cabinets, stainless appliances, double oven w/gas, & breakfast area. Master retreat has 14' ceilings, large windows, spa bath, double vanity, & walk-in closet. 2nd level features a massive game rm, media rm, & large bedrooms & bath. Great schools, shops/entertainment, & near La"
"Roosewood Floor Plan, 2 story, 4 bedroom, 3.5 bth, 2 story living room, study, Game room, 2 car garage, Granite counter tops, spacious family room and covered patio on a GREENBELT!!" "This is special, limited time pricing. 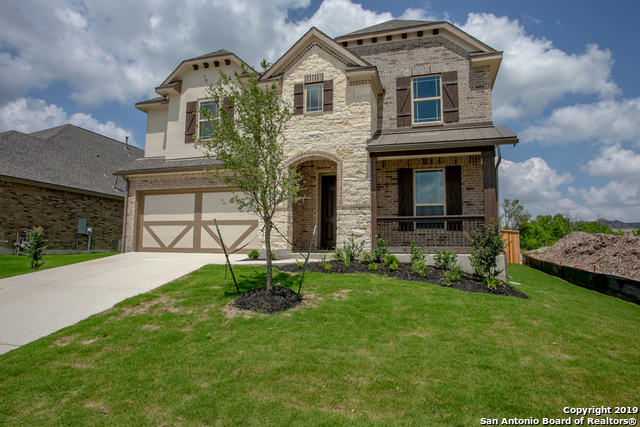 See Sales Counselor for detailsCharming single story at Arcadia Ridge. 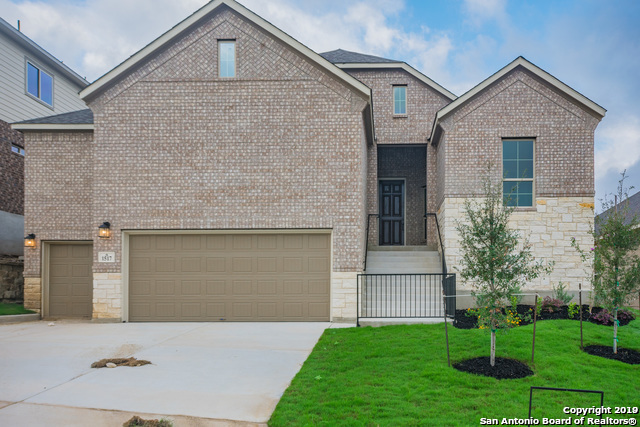 This subdivision is an exclusive oasis located in West San Antonio just a few minutes away from great shopping, dining and entertainment. Popular open floor plan with 3 bed, 2 bath. This floor plan includes a 3 car garage. The beautiful kitchen with a good size polished granite kitchen, a convenient breakfast room full of natural light, covered back patio, high ceilings, & spa retreat f"
"OPEN HOUSE Saturday APRIL 27th 12pm to 4PM & SUNDAY APRIL 28TH 3PM-6PM! PRISTINE GRAND ONE STORY HOME IN ARCADIA RANCH W/OVER 2500 SQ FT OF LIVING! HANDSOME RICH WOOD FLOORS THROUGHOUT HOME W/SLEEK TILE IN WET AREAS! ENHANCED VINTAGE DETAILS /FRESH CONTEMPORARY DESIGN AND APPEAL! STUNNING CHEFS KITCHEN/GAS COOKING/EXOTIC GRANITE ISLAND & COUNTERTOPS/CUSTOM CABINETS/ BUTLER PANTRY/LUXE FIREPLACE. ENORMOUS MASTER BEDROOM W/LUXURY MASTER BATHROOM! 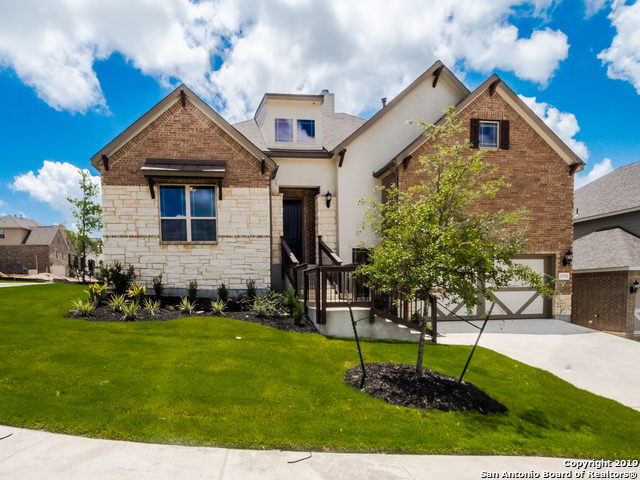 PRIVATE BACKYARD RETREAT W/GREENBELT & AMAZIN"
"Brand NEW energy-efficient home ready NOW! Spread out in the Chestnut's sprawling second-story, complete with a media room, game room and retreat. At the bottom of the stairs, a handy pocket office is tucked adjacent to the expansive family room and open kitchen. Shopping, dining, golf, and Sea World are just down the road. Known for their energy-efficient features, our homes help you live a healthier and quieter lifestyle while saving thousands of dollars on utility bills." 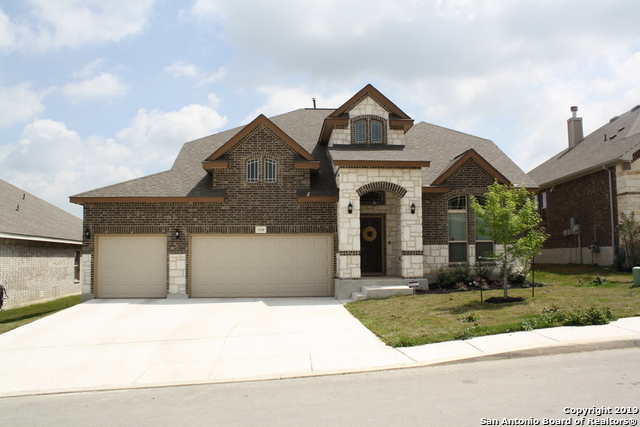 "This beautiful Gehan home known as the Harvard (2513 sq.ft.) is a must see. Located on a corner lot this home offers 3 bedrooms, 2 baths, and a 4 car garage. Yes 4 cars! As you enter the striking 8' entry door you immediately see the elegance this home has to offer. Its large and open living areas that include a fireplace are a must see. Tile floors in all main living areas and plush carpeting in bedrooms are tastefully done. Kitchen and all bathrooms enjoy granite counter tops. 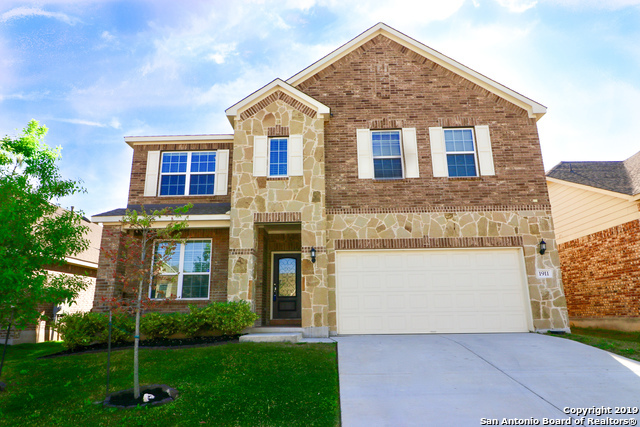 Make your appoin"
"Stunning two story home with brick & stone exterior in Arcadia Ridge. The family room has tray ceilings, natural lighting and hidden built in desk area. The spacious kitchen opens to the family room. Perfect for entertaining! It offers stainless steel appliances, huge island, dark cabinetry & tons of storage. The master suite has a luxurious walk in shower, double vanities & huge walk in closet. First floor features a secondary bedroom w/full bath. Second floor has 4 secondary bedrooms & 3 full "
"3 CAR GARAGE!! Our beautiful Hoya plan. 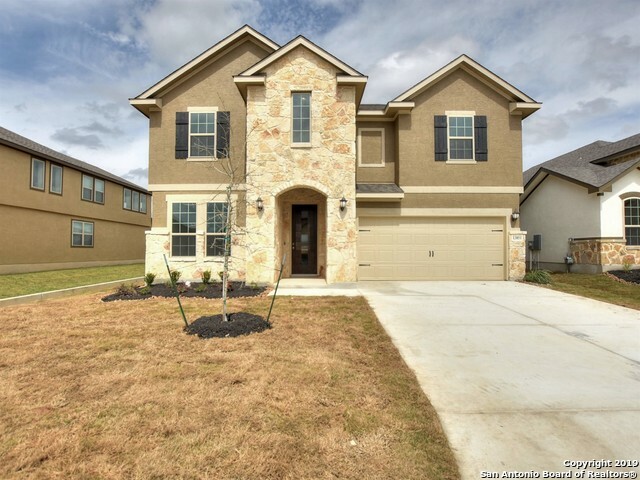 Granite C/tops, High ceilings, art niches, stained wood balusters, HUGE gameroom, 3 FULL baths, 42 inch cabinets, gas cooktop, built in appliances, large rear covered patio. Very nice backyard! Master down plus a 2nd bedroom with full bath down also. Home is under construction. Move in approx.end of July, 2019. Photo is of the same Hoya 3 Car Floorplan, but not the actual home. Actual home is under construction. Google Map Arcadia Path to find the home." "Our Magnolia Floorplan (2850sq ft), a 2 story, 4 bedroom, 3.5 bath, with master down, study, 2 story Family room with covered patio outside. Beautiful wood floors and granite selections on interior of home." "The two-story Meridian boasts an open island kitchen convenient to the Pulte Planning Center , plus great room and dining area. This home features upgrades such as granite countertops, built in Gas stainless steel appliances with double ovens, Medoa Room, 42 Kitchen Cabinets and 2.5 Car Garage. Home includes the the backbone for the Pulte Smart Home. Please contact onsite sales counselor for more details." 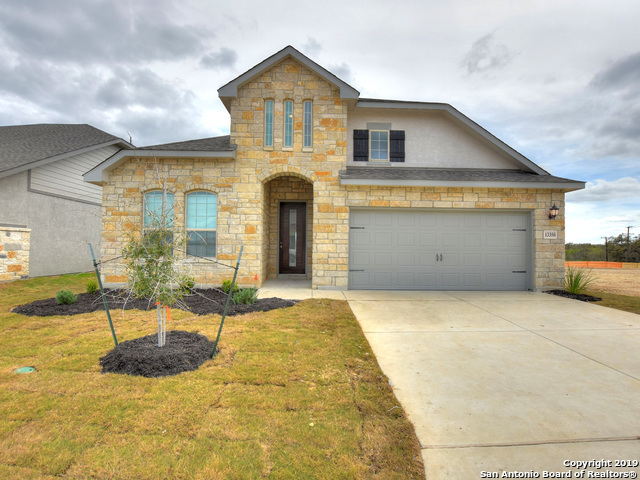 "This must see home known as the Magnolia (2850 sq.ft.) 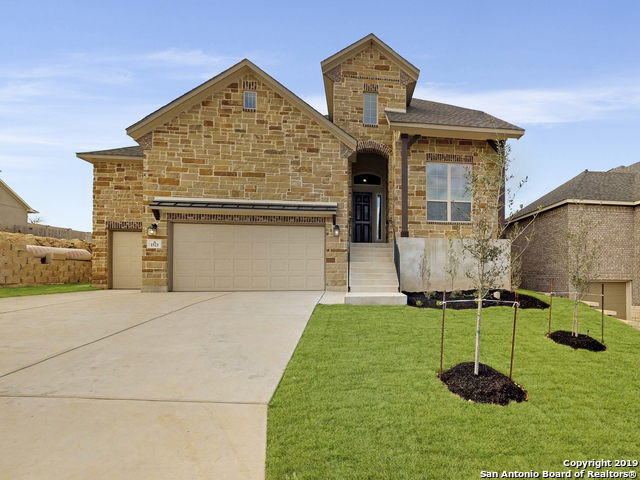 by Gehan Homes has 4 bedrooms, 3.5 bathrooms, and a 2 car garage. Luxury vinyl plank flooring thru-out 1st floor main living areas is a nice touch. The large and beautiful granite kitchen island opens up to the family room with the ceiling that soars to the second floor. All bedrooms enjoy large walk-in closets. A must see. Schedule a showing today." "Brand NEW energy-efficient home ready February 2019! The Holly home is a dream come true. 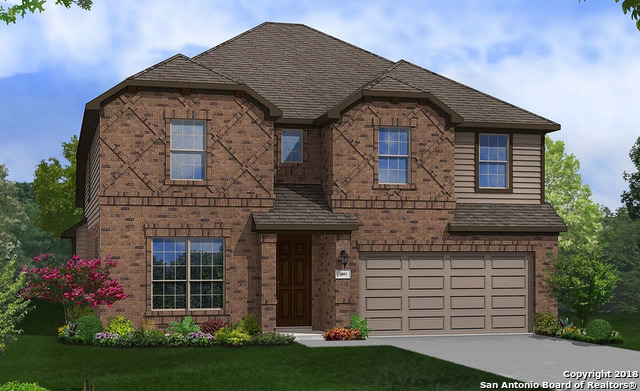 The family room is the central part of the house, master suite offers a great bay window, separate dining and media room, built-in kitchen along with granite and luxury flooring are just a few favorites! Shopping, dining, golf, and Sea World are just down the road. Known for their energy-efficient features, our homes help you live a healthier and quieter lifestyle while saving thousands of dollars on utilit"
"New Flooring put in entire first floor! ! VIEWS, gorgeous views, This beautiful 5 bedroom, 3 bath home is situated on an oversized lot. Neutral colors and abundant natural light make it feel like home. It has 4 bedrooms downstairs and 1 up and a game room upstairs, there is plenty of space for the entire family! 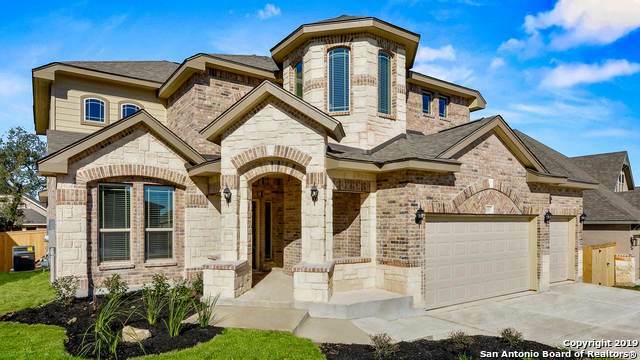 Easy access to Lackland, Sea World, hospitals, schools and Alamo Ranch shopping. The large expanse of yard allows room for building your own pool and play area."